ON GOLDEN POND ~ Gorgeously renovated historic home, quietly sitting on pristine 5.6 acres set back from the road for incredible privacy w/ meadows surrounded by a mix of hardwood & evergreens. Property is graced with the sound of water, pathways, bridges & fruit trees. WATER RIGHTS divert water from Shasta River that spills into a huge swimming / fishing pond & a second reflection pond. The front porch features a stone apron bottom & was built with reclaimed wood from wine barrels. Renovations include reclaimed wood flooring, specialty lighting throughout, including 2 Restoration Hardware chandeliers & antique sconces. Open kitchen has marbled granite counters, propane stove, tiled floors, wood plank ceilings, beams & skylights. Dining room has tile floors, large corner windows & chandelier. There is a 1st floor bedroom plus 3 bedrooms upstairs, one w/a beautiful sunning deck that overlooks the gardens & pond. Both bathrooms have tile flooring & pedestal sinks. First level bath has double ended pedestal soaking tub. The cabin has a wood stove, reclaimed wood floors, cast iron soaking tub & vintage kitchenette. Private yet close to town, room for horses & Mt Shasta View! Please, send me more information on this property: MLS# 112927 – $725,000 – 10317 N Old Stage Rd, Weed, CA 96094. 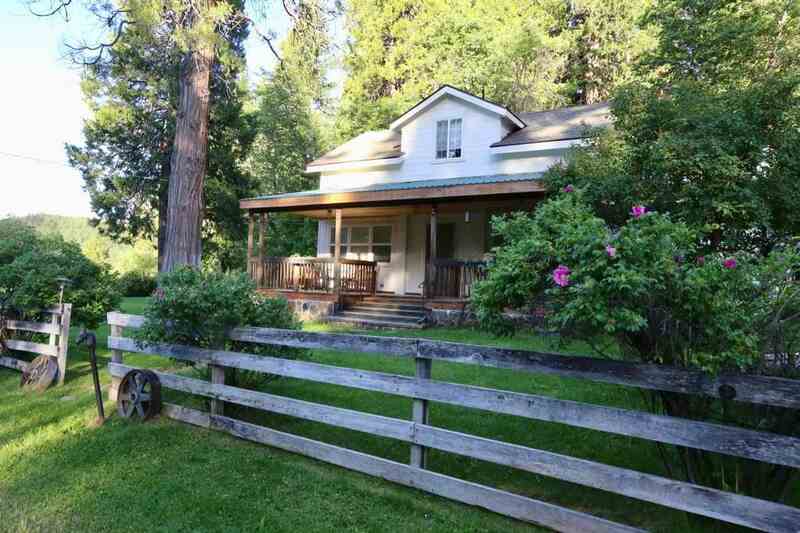 I would like to schedule a private showing for this property: MLS# 112927 – $725,000 – 10317 N Old Stage Rd, Weed, CA 96094.